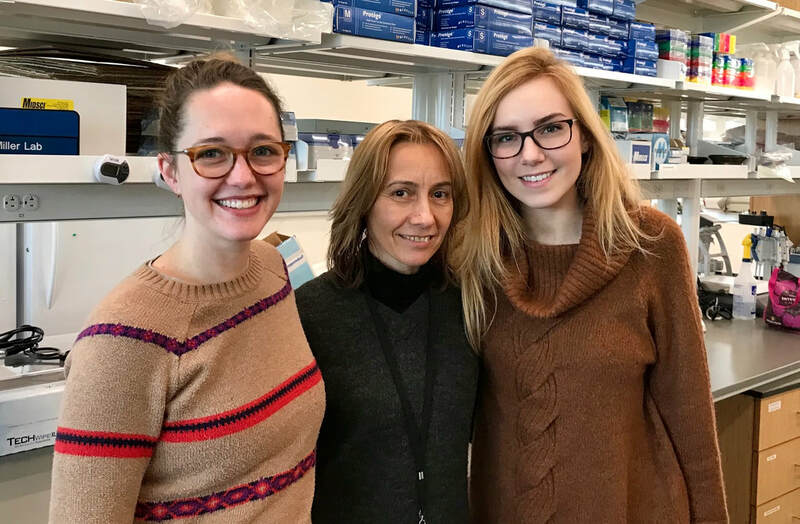 Post-docs Laura Klein and Claudia Ciotir, and Research Assistant Emma Frawley. 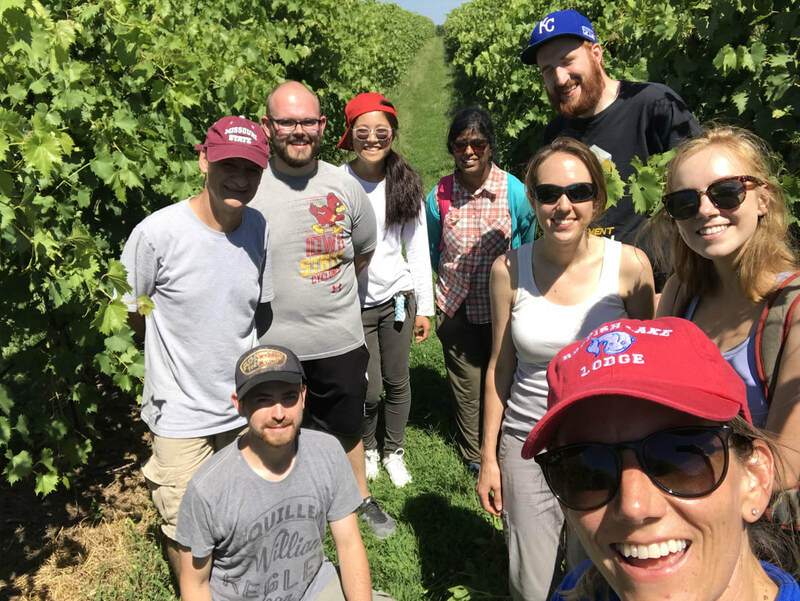 NSF PGRP Grape grafting project team. Back row: Laszlo Kovacs (Co-PI, Missouri State Univ. 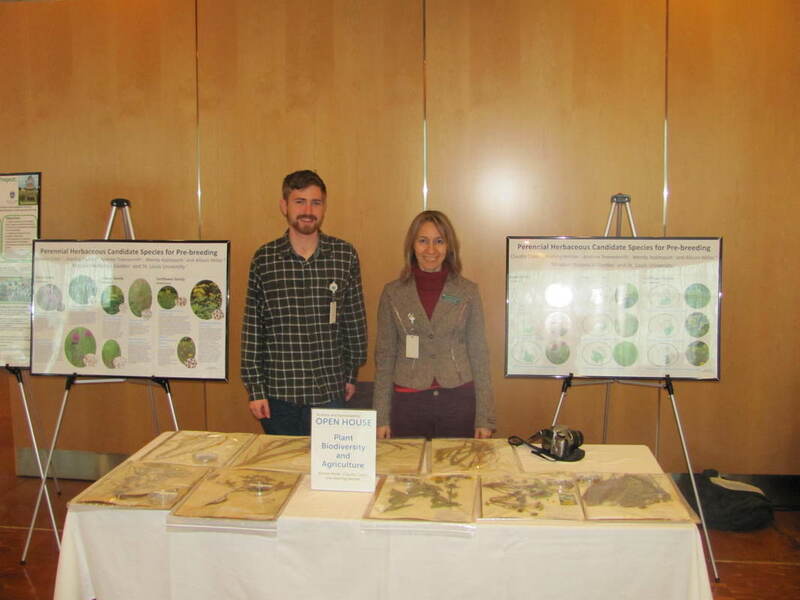 ), Zach Harris (PhD student, Saint Louis Univ. ), Dan Chitwood (Co-PI, Indep. Researcher), Joel Swift (NSF GRF, Saint Louis Univ. 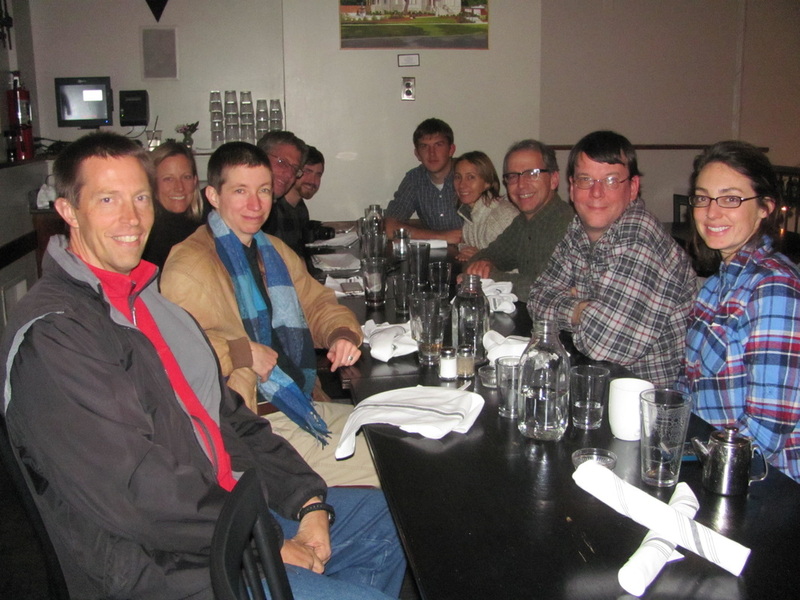 ), Peter Cousins (E. & J. Gallo Winery), Adam McDermaid (PhD student, South Dakota State Univ. ), Misha Kwasniewski (Co-PI, Univ. Missouri), Jason Londo (Co-PI, USDA-ARS), Gaurab Bhattari (MS Student, Missouri State Univ.). Front row: Mani Awale (PhD student, Univ. 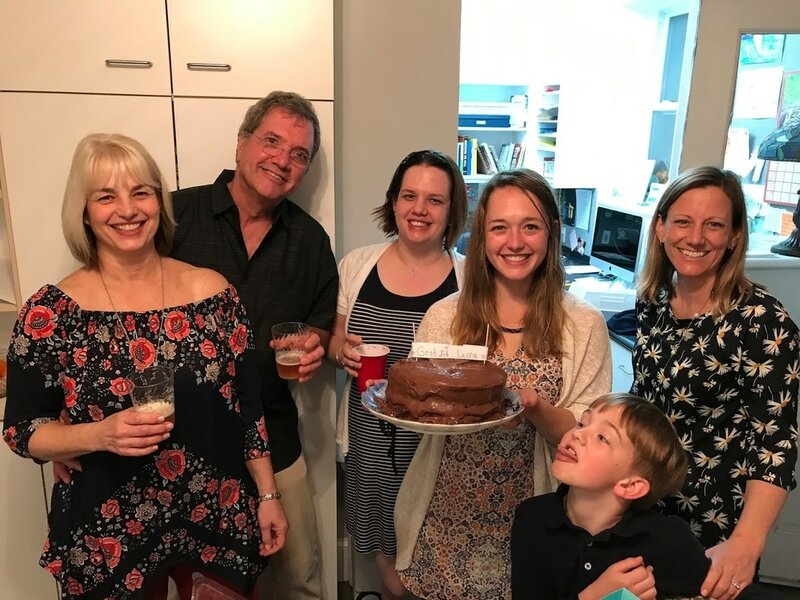 Missouri), Zoë Migicovsky (Post-doc, Dalhousie Univ. 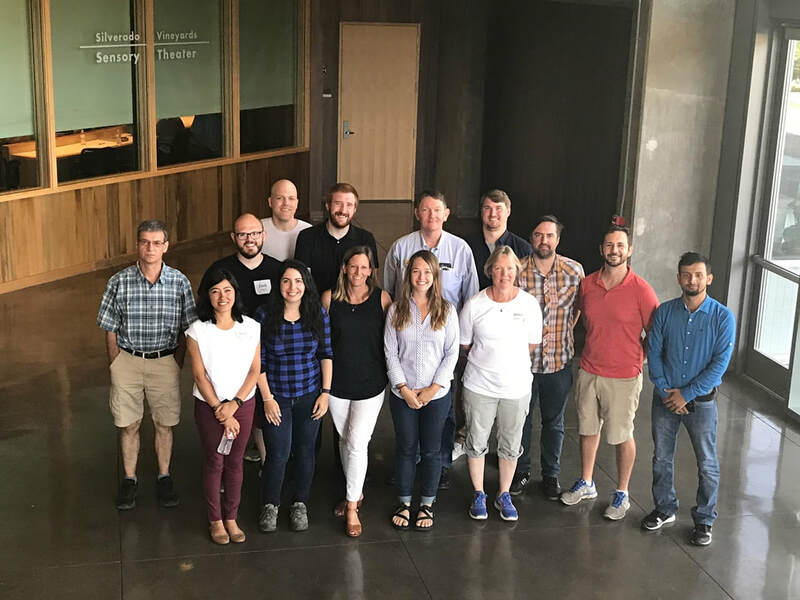 ), Allison Miller (PI, Saint Louis Univ. 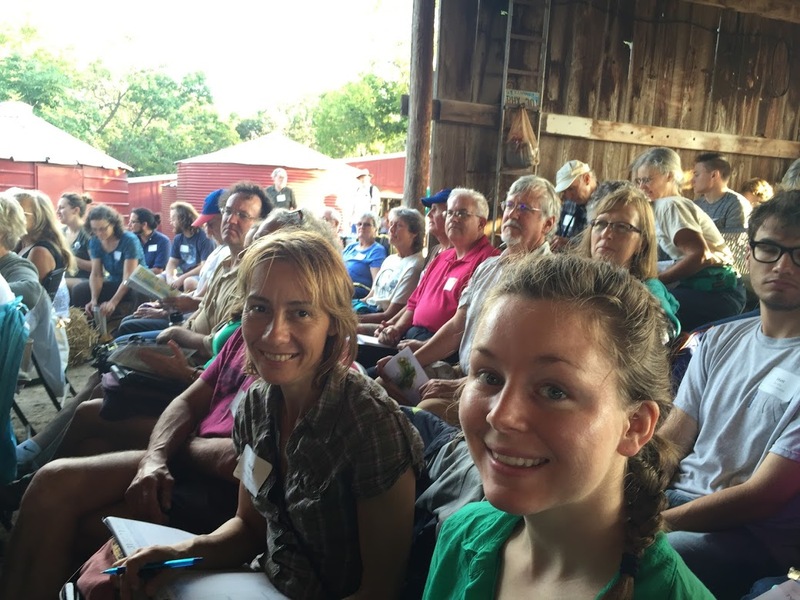 ), Laura Klein (Post-doc, Saint Louis Univ. 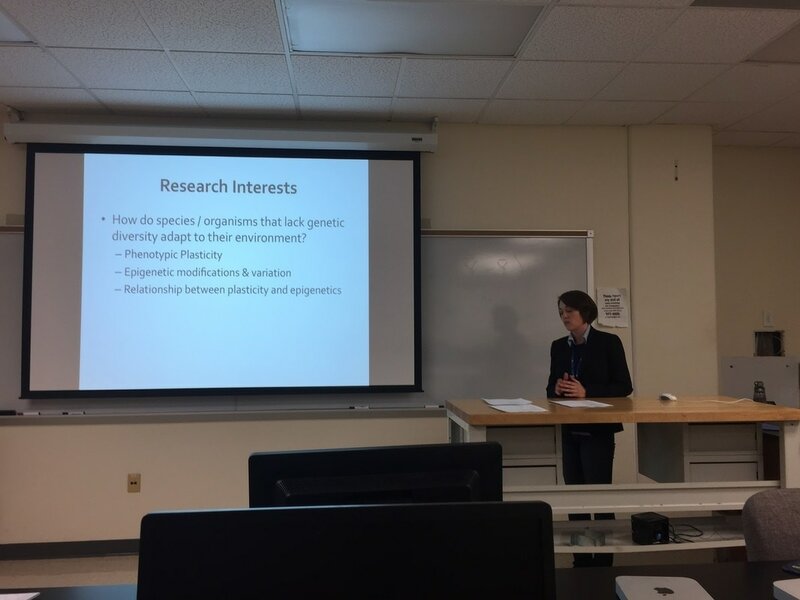 ), Anne Fennell (Co-PI, South Dakota State Univ.). 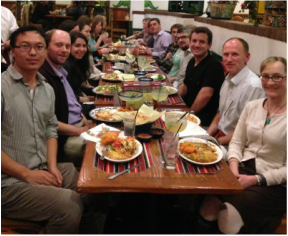 Not shown: Al Kovaleski (PhD student, Cornell), Qin Ma (Co-PI, South Dakota State Univ.). 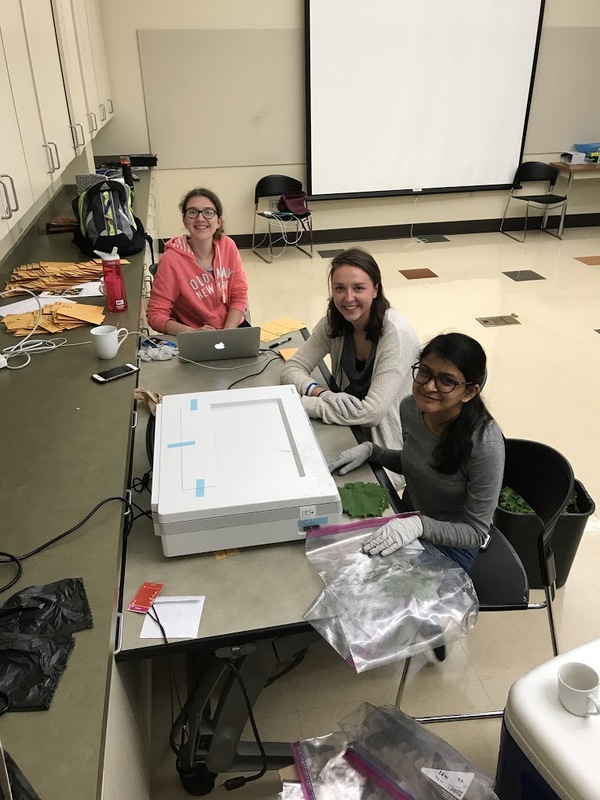 Vickie Williams, Olivia Weigl, and Niyati Bhakta scanning leaves from Mount Vernon. Planting kernza and alfalfa in the Grow Exhibit at SLSC. 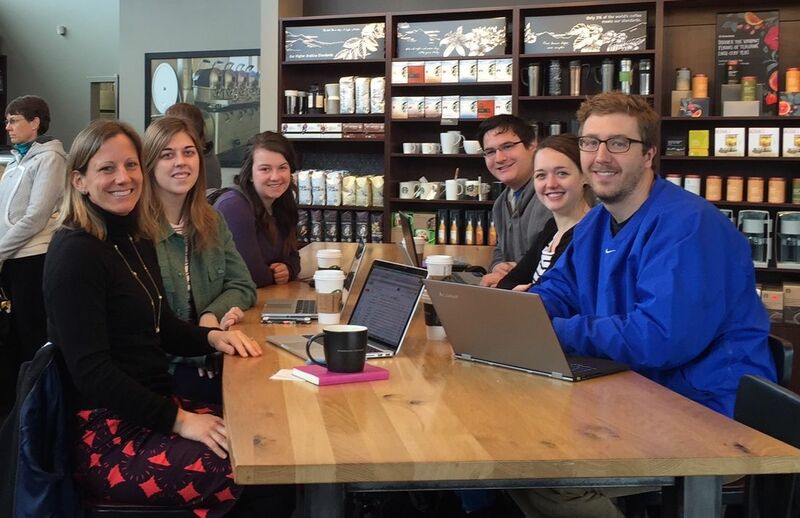 L to R: Joel, Laura, Paige, Allison Sterling, Alex, Chris, and Maddie. 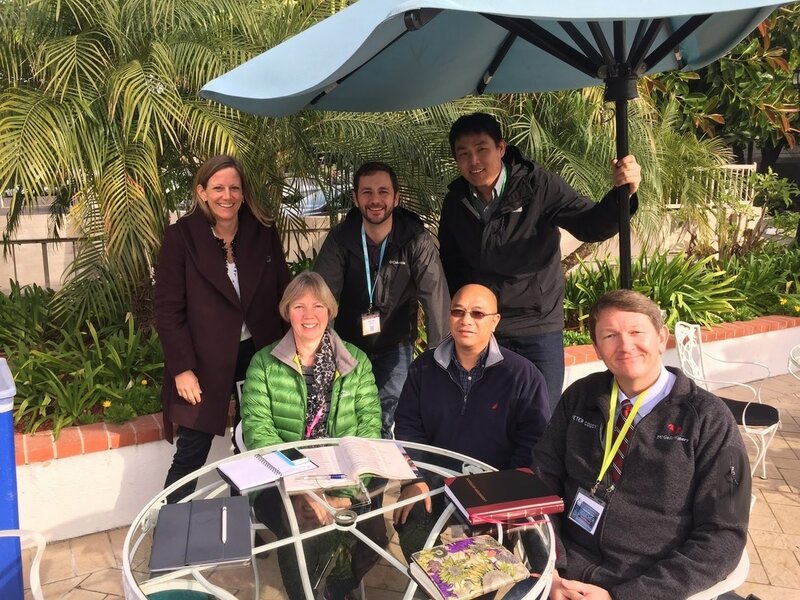 Grape grafting team meeting at PAG 2017. Summer 2016: Alex Linan with some exciting news re Diospyros evolution! 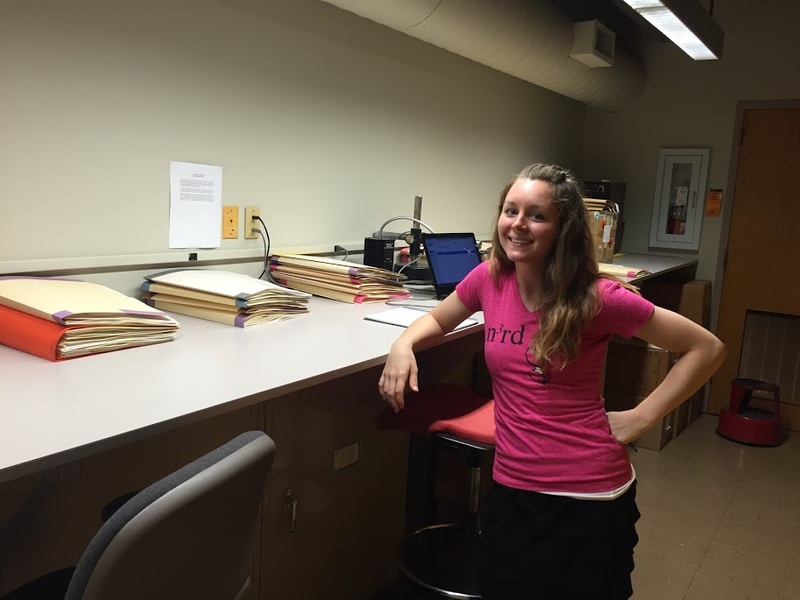 Summer 2016: SLU undergrad Samantha Selby working away in the MOBot herbarium on legumes for The Land Institute project. 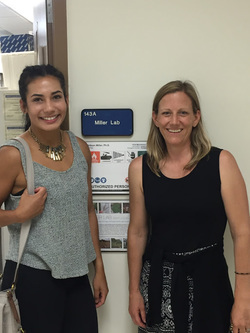 Summer 2016: Dahlia Martinez, NSR REU student 2016 and Allison - touring SLU for a day! 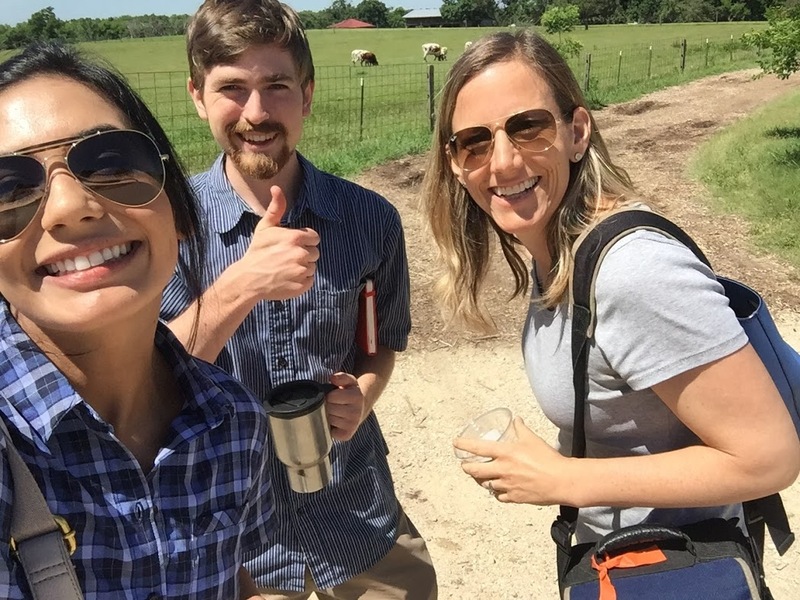 Summer 2016: Sterling shows us around The Land Institute! 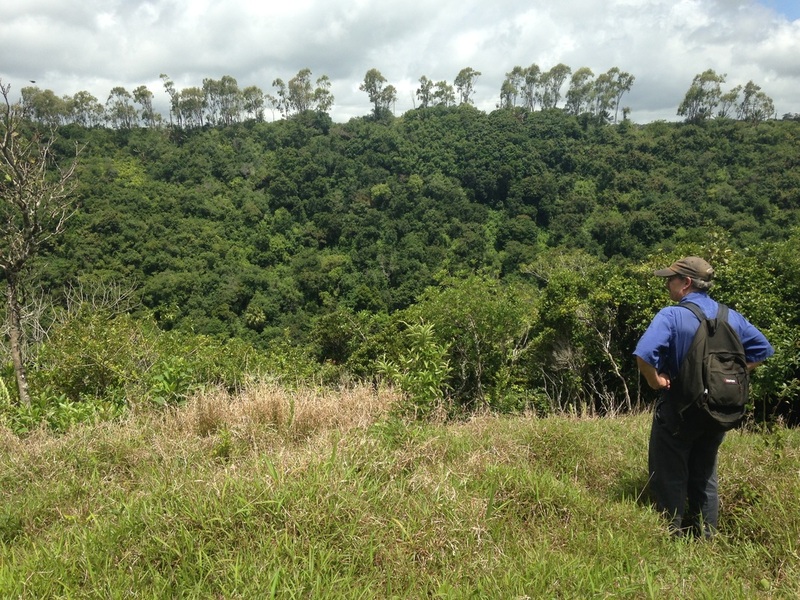 November 2015: SLU Graduate student Alex Linan and Missouri Botanical Garden curator George Schatz (pictured here) are in Mauritius collecting Diospyros. 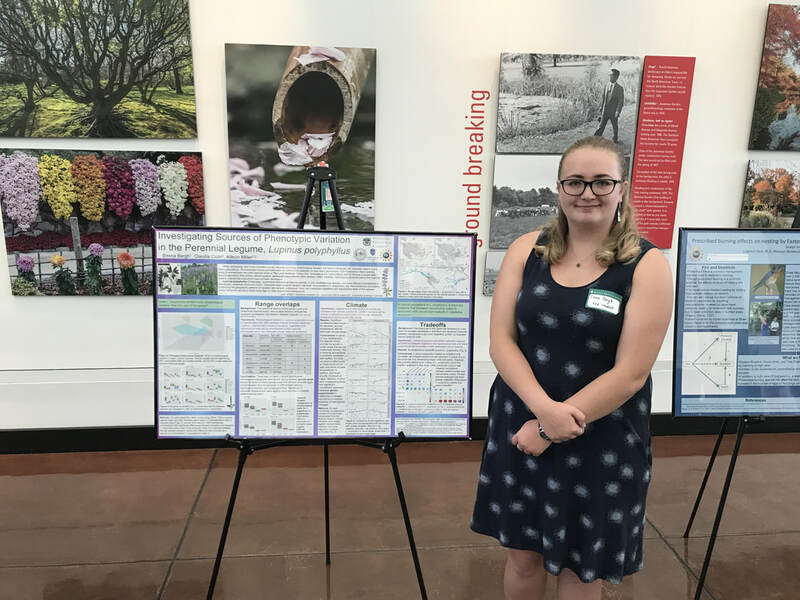 This collaborative project with George and Christy Edwards at (MBG) and is funded by the National Geographic Society. 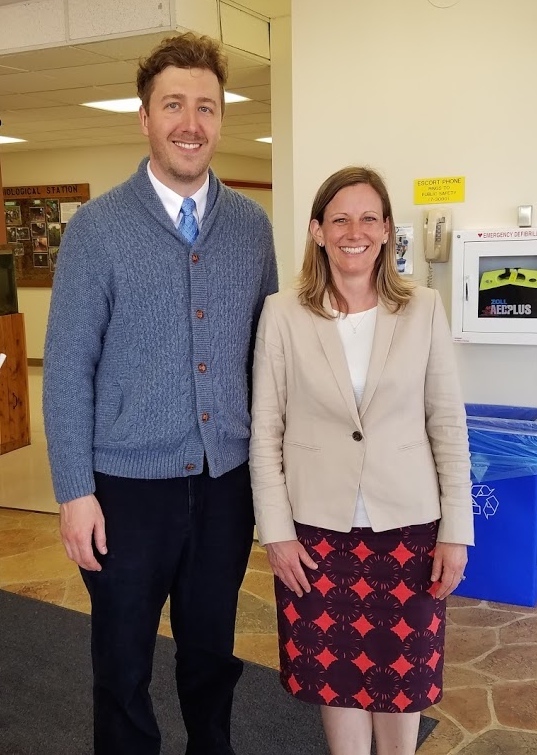 April 2016: Steven Callen successfully defended his dissertation! 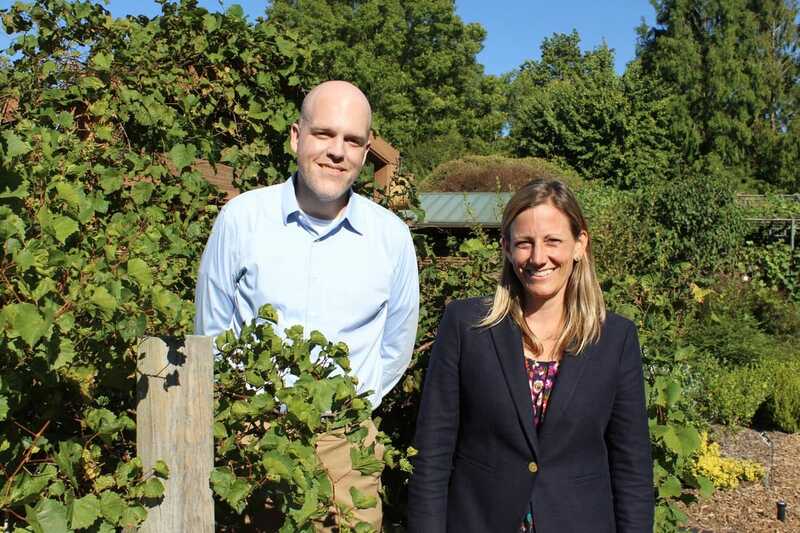 November 2015: SLU PhD Candidate Steven Callen organized a visit for Missouri State Senator Jamilah Nasheed to the research division of the Missouri Botanical Garden. 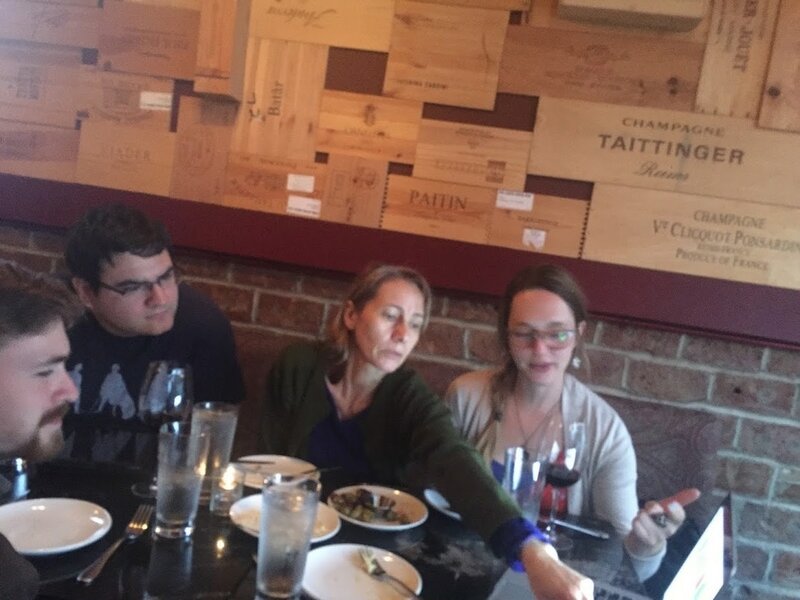 A portion of Steven's dissertation work depends upon research resources at MBG. 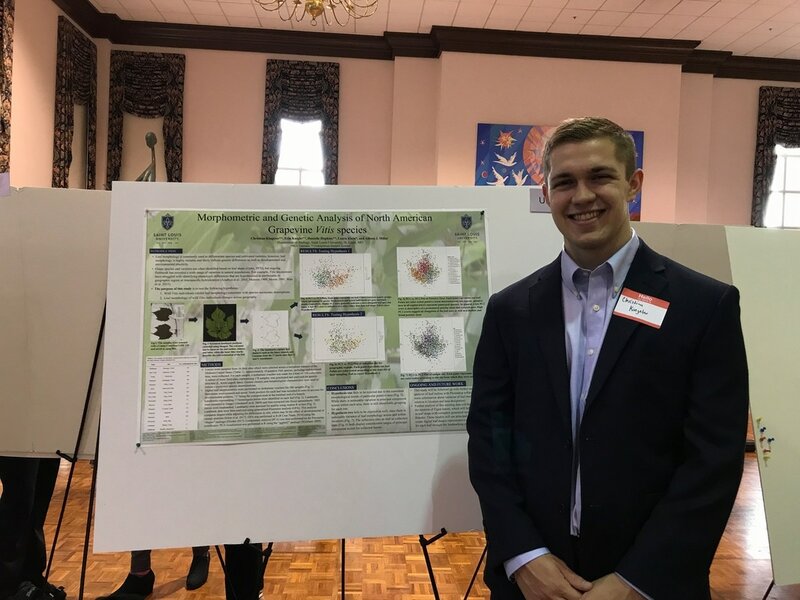 Steven was a Science Policy Fellow with the Botanical Society of America, a program aimed at facilitating dialog between scientists and politicians. 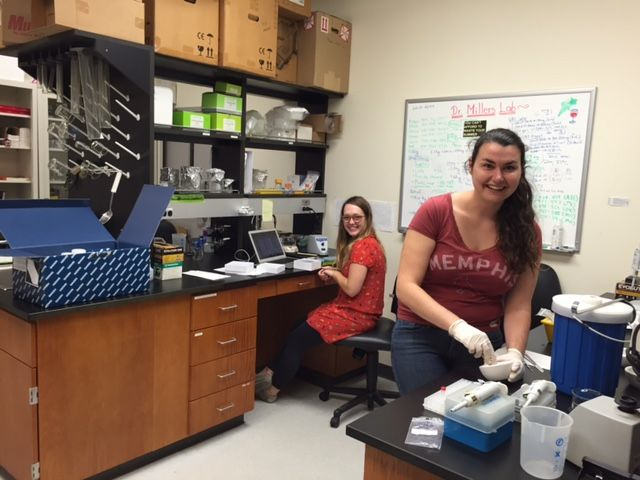 October 2015: SLU PhD Candidate Laura Klein and undergraduate Chelsea Pretz extract DNA from grapevine leaves. This work is funded by the Saint Louis University Presidential Research Fund. 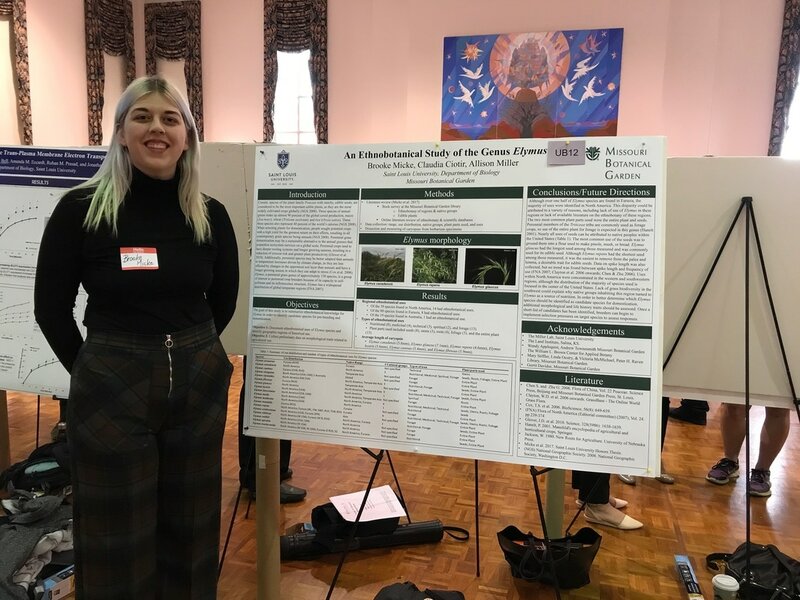 March 2015: SLU Undergrads Regan O'Hanlon and Madeleine Caito presented "Using herbarium specimens to quantify leaf shape: morphometric analysis of two North American Vitis species from natural populations" at the SLU Undergraduate Research Symposium. 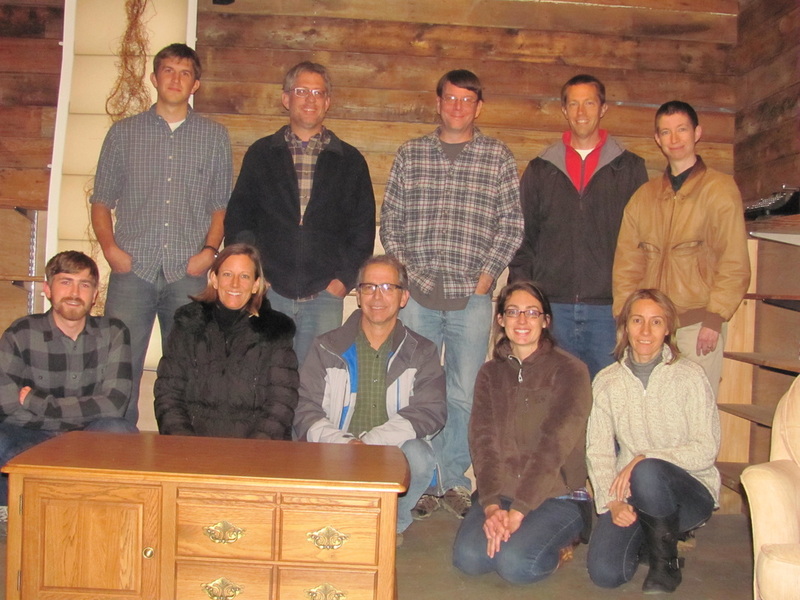 March 2015: Lab group! Allison, Brooke, Regan, Alex, Laura, and Steven. Not pictured: Chelsea, Matthew, and Maddie. 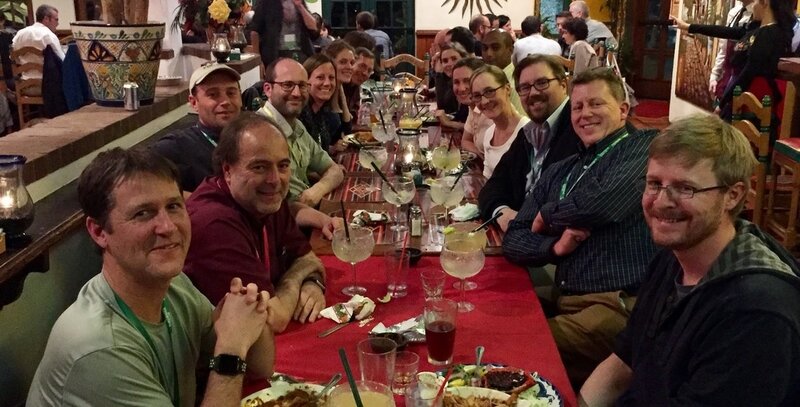 Jan 2016: Annual Domestication Genomics dinner at the Plant and Animal Genome meeting. 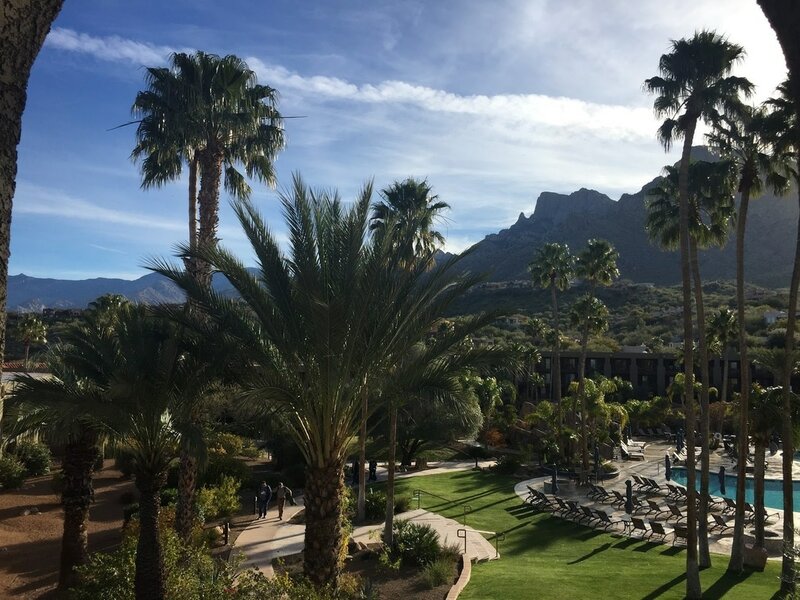 Thanks to Xin Shuai Qi for the photo! 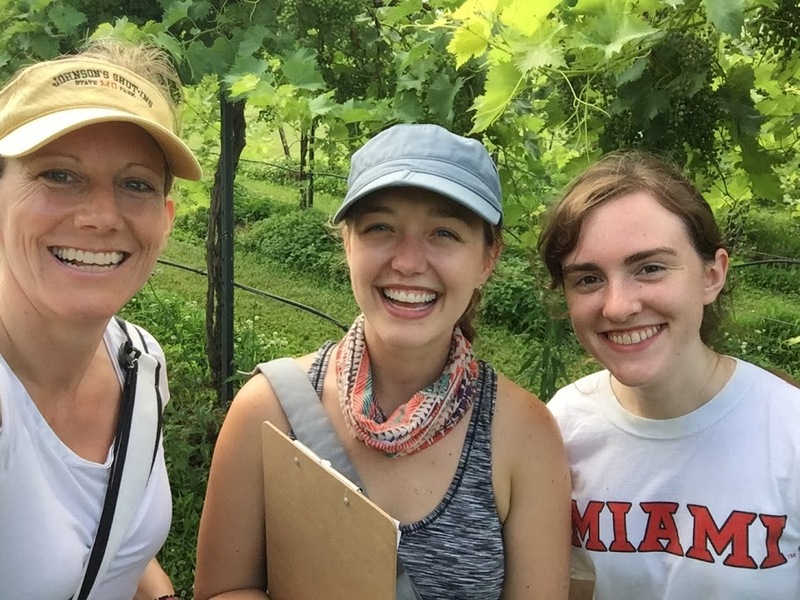 December 2015: SLU Undergraduate students Samantha Selby (left) and Judith Bailey (center) partnered with Catrina Adams (right) as interns working on the Botanical Society's NSF funded Planting Science Program.